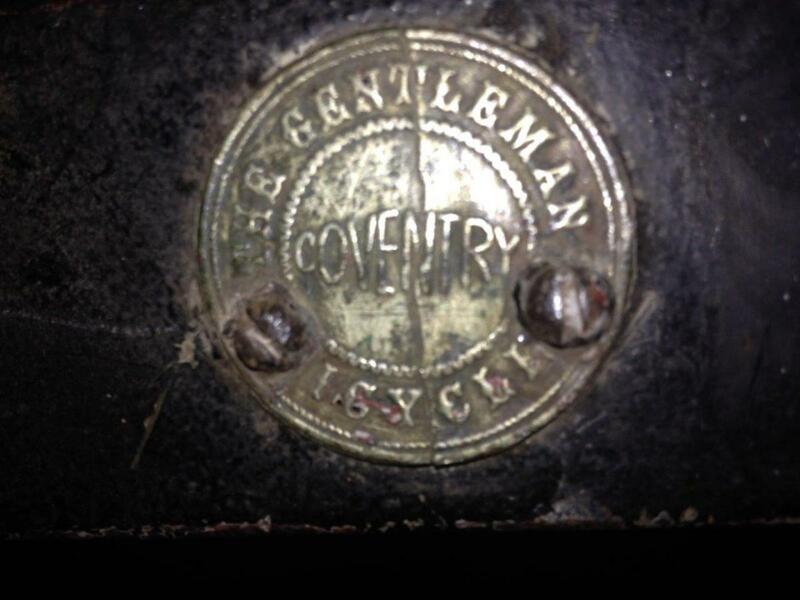 Without any doubt the Coventry Machinists Co was the leading maker of bicycles in the 1870's, although it's not exactly clear how many bicycles they produced. We think the series were rather small in the period 1871-1874. 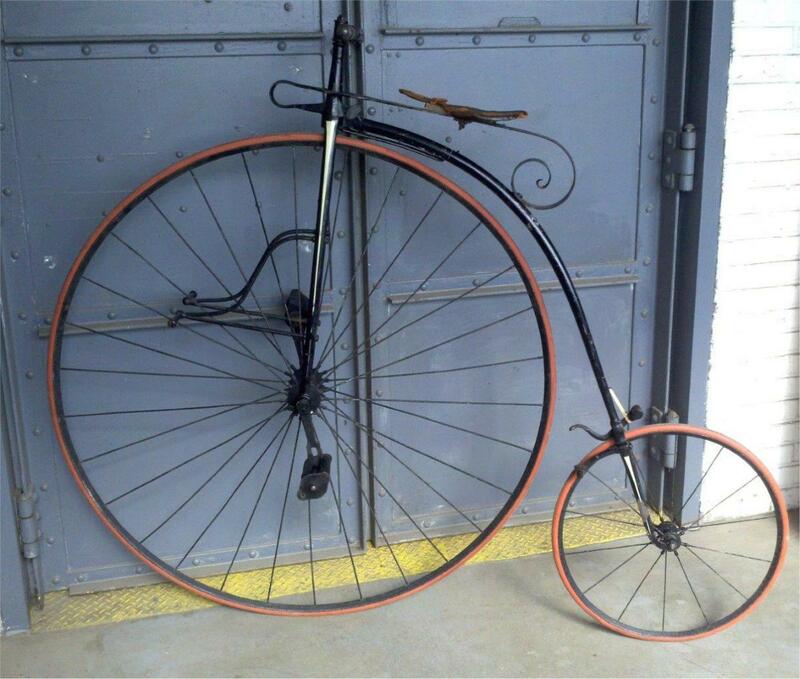 But around 1875 the bicycle became more popular and sales were rising rapidly. At the end of 1874, CMC introduced their 'The Gentleman', which was their leading bicycle until 1878. 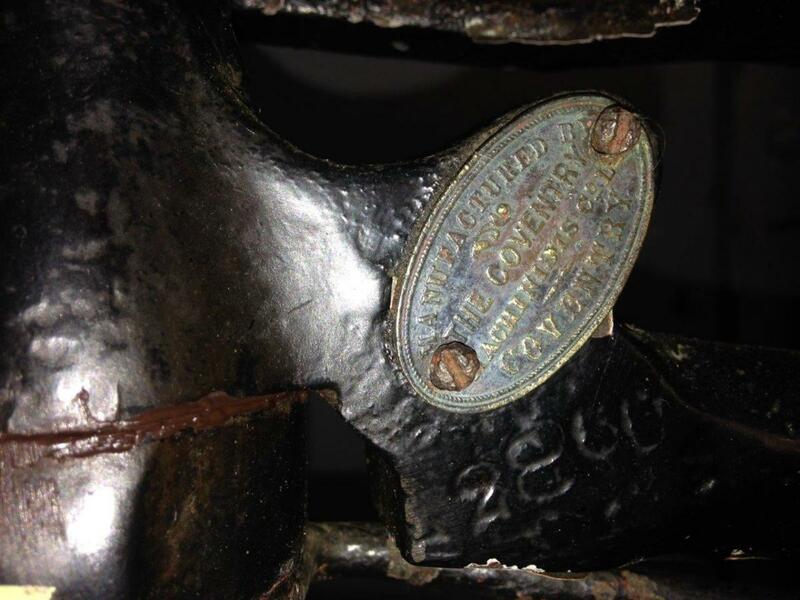 When it comes to CMC serial numbers, the earliest bicycles (1869-1874) are a mess. Some one digit numbers (part numbers) , a few numbers in the thousand, and some bicycles without any numbers. Those were the years of the boneshaker, the transitional boneshaker and the Coventry Spider. CMC may have started the Gentleman-series with number 2000, but if anyone has more information, I am very interested. The pictures you see here are 2715 (in my property, not painted) and 2806 (the black one). These bicycles show a typical mid-1870's penny farthing. It already has a hollow backbone, but it still has a lot of boneshaker-details. Look at the front wheel bearings. Rear wheel has cone bearings, with a nice bronze dustcap, which was used until 1878. 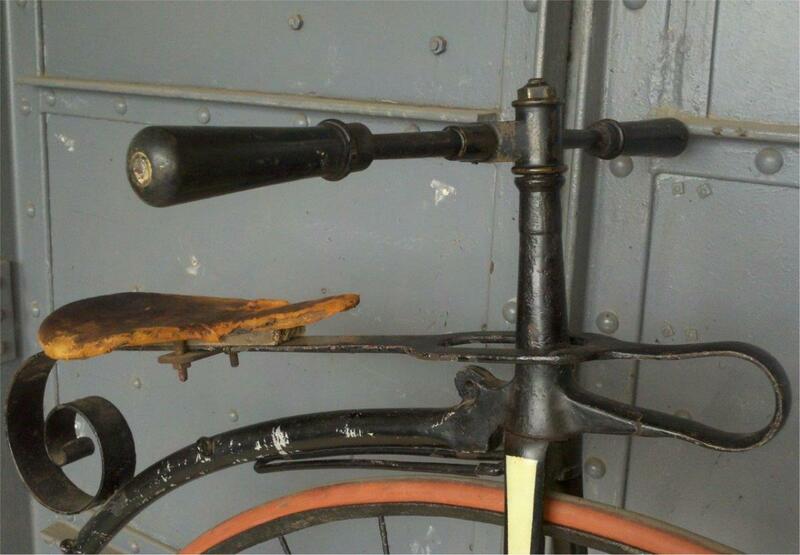 The rear wheel brake was used until 1879, until 1878 in combination with the forward pointing spring. The nice curvy spring was lowered somewhere late 1875- early 1876. These bolt-on footrests were used until model '77. Two name tags are attached. The oval one at the left side of the neck, opposite the brass roller. The round one on top of the spring, just behind the saddle. Thanks Carey for your pictures.